Abstract: "Molecular biology is now a leading example of a data intensive science, with both pragmatic and theoretical challenges being raised by data volumes and dimensionality of the data. These changes are present in both “large scale” consortia science and small scale science, and across now a broad range of applications – from human health, through to agriculture and ecosystems. All of molecular life science is feeling this effect. As molecular techniques – from genomics through transcriptomics and metabolomics – drop in price and turn around time there is a wealth of opportunity for clinical research and in some cases, active changes clinical practice even at this early stage. The development of this work requires inter-disciplinary teams spanning basic research, bioinformatics and clinical expertise. This shift in modality is creating a wealth of new opportunities and has some accompanying challenges. In particular there is a continued need for a robust information infrastructure for molecular biology and clinical research. This ranges from the physical aspects of dealing with data volume through to the more statistically challenging aspects of interpreting it. A particular problem is finding causal relationships in the high level of correlative data. Genetic data are particular useful in resolving these issues. The Centre for Therapeutic Target Validation – CTTV – a public-private partnership formed by three institutions; GSK, The Sanger Institute and EMBL-EBI provides an example of the potential for using this information for translational work in terms of finding and validating drug targets. I will discuss the broad area of Big Data analysis in translational research, illustrated by a number of examples from this unique partnership." 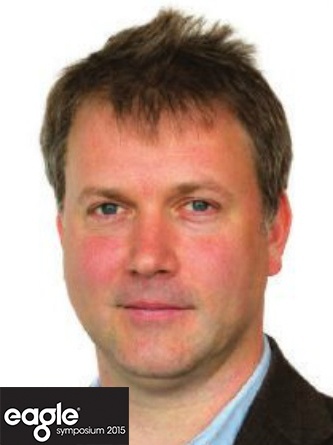 Speaker's Bio: Dr Birney is Joint Associate Director of EMBL-EBI and runs a small research group. He is also Interim Head of the Centre for Therapeutic Target Validation. Together with Dr Rolf Apweiler, he has strategic responsibility and oversight for bioinformatics services at EMBL-EBI. Dr Birney played a vital role in annotating the genome sequences of the human, mouse, chicken and several other organisms; this work has had a profound impact on our understanding of genomic biology. He led the analysis group for the ENCODE project, which is defining functional elements in the human genome. Ewan’s main areas of research include functional genomics, assembly algorithms, statistical methods to analyse genomic information (in particular information associated with individual differences) and compression of sequence information. Dr Birney completed his PhD at the Wellcome Trust Sanger Institute with Richard Durbin, and worked in the laboratories of leading scientists Adrian Krainer, Toby Gibson and Iain Campbell. He has received a number of prestigious awards including the 2003 Francis Crick Award from the Royal Society, the 2005 Overton Prize from the International Society for Computational Biology and the 2005 Benjamin Franklin Award for contributions in Open Source Bioinformatics. Ewan was elected a Fellow of the Royal Society in 2014. Eagle Symposium 2015: Eagle Genomics organises an annual industry symposium in the promotion of innovation and advancement in genomics, bioinformatics, and computational biology to help address global issues. The Eagle Symposium 2015 builds on the theme "Bridging Biology and Informatics for R&D Innovation", taking place on 23 March 2015 at the European Bioinformatics Institute (EBI), Wellcome Trust Genome Campus in Hinxton, Cambridge, UK.